We cam across this picture today and thought it would make for a good post. Even in today’s political climate, we guess that Facebook is good for something. This one made us chuckle. But seriously! Who would you call. As professional electricians, we’d like you to call us. But then we might be calling the plumber after we arrive! Which brings up the other side of this when we discuss this very topic with young people; plumber or electrician? Below is a very informative video about such a topic that we felt many would find useful. 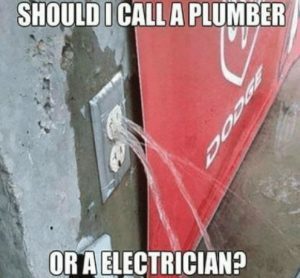 So when you are faced with the decision as to whether to call the electrician or the plumber or to determine if you want to pursue either field as a career, there are many things to consider. Contrary to stereotypes of both, there is a lot of money to be made in each profession; especially if you own the company and know how to make it grow. It is not uncommon for a plumbing or electrical company to have started from scratch and grown to hundreds of employees and trucks. It happens all over America where a skilled and hard working craftsmen grows his business from the ground up and exceeds all expectations. This happens all over. These companies started with a good work ethic and concept and grew slowly over time while hiring smart ambitious workers who wanted to learn the business and be a part of a family owner and operated company. 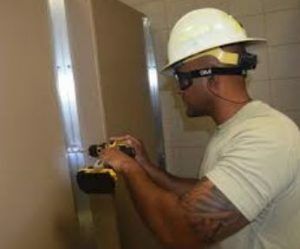 If you want to learn more about the electrician industry and how you can build your own, refer to many of the online resources on YouTube, etc. to learn more. This was just a brief article to give you a laugh and get you thinking about what to do in an emergency either at the home or in your career choice. Of all the home improvement or maintenance projects that will present themselves to a homeowner or private business, finding a good electrician can be the most daunting. The reason this is so challenging is the vast number of electricians in any given city and the difficulty in finding one that is qualified and competent. If a job is done poorly, the resulting damage and danger can be catastrophic. The end result can be an electrical fire set off by just one simple spark or crossed wiring. The damage done can be in the hundreds of thousands of dollars and can put a homeowner out of their home and a company out of business. 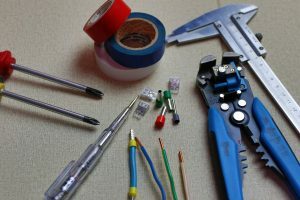 Most electrical work is fairly standard, especially in a home or small business, but for the inexperienced, even the most basic jobs can be over their heads. For this reason, we want to provide a list of home services website, apps and places you, as the homeowner or business person, can visit to check on potential vendors. These are just a few of the many apps and websites out there that can help you with your homework in finding someone qualified but in also looking at numerous, recent, solid reviews of their work. Are you looking for an electricians company? 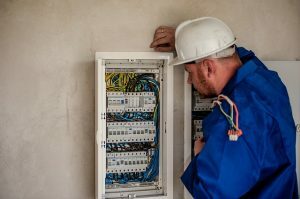 If you are looking for an electrician to make a reform or perform a new electrical installation, you have to take into account a series of tips that will help you find the option that best suits your needs. Salaried workers or self-employed workers can form the companies of electricians. In principle, there is no difference in the quality of work. Whether they are self-employed workers or a company, the most important thing is that they are authorized installers. Since at the time of certifying your installation, the installation company must sign a bulletin that the Ministry of Industry has to seal to legalize the plant, and this bulletin can only be approved by companies certified by the Ministry of Industry. In this bulletin the characteristics of the electrical installation, powers, type of plant, etc. are detailed. Without this newsletter, you will not be able to contract the supply with an electric company. -It is convenient that the budget is appropriately detailed and divided between the labor force and the material necessary to carry out the installation. -The electrical companies do not usually take care of the masonry works, and this means that, if you want to carry out a renovation or a new installation it is very likely that you need the help of a bricklayer to make the chafing on the walls or any other type of work. So it is essential that you have these works planned when preparing the budget.